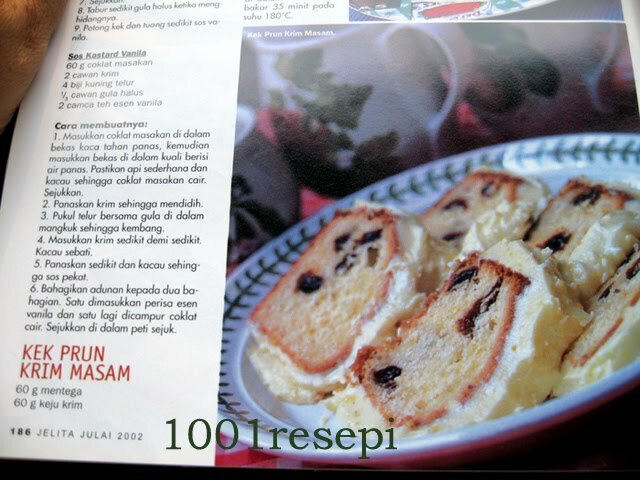 kek ini saya buat untuk disiarkan dalam majalah jelita july 2002.
preheat oven to moderate 180C. brush a deep 20cm baba tin with melted butter or oil. using electric beaters, beat butter, cheese and sugar until light and creamy. add the egg gradually, beating thoroughly after each addition. add the rind and the sour cream; beat until just conbined. add prunes. add flour. stir until mixture almost smooth. pour mixture evenly into prepared tin; smooth surface. bake 35 minutes or until skewer comes out clean when inserted in centre of cake. leave cake to cool. apa beza guna salted dengan unsalted butter? mn lg baik? 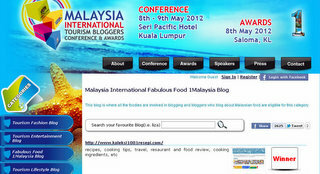 salted butter masin sikitlah...ada tulis kat packaging butter tu. samada nak guna salted atau tidak, ikut pada resepi...dua-dua pun baik.